Tuesday evening Musselburgh Area Partnership held an event to showcase their evaluation process of ‘Your Voice Your Choice’ programme. Paul Nelis reflects on the importance of evaluating the impact of PB and presents 7 simple questions that will help PB steering groups and agencies (implementing mainstream PB) to evaluate their process and events. 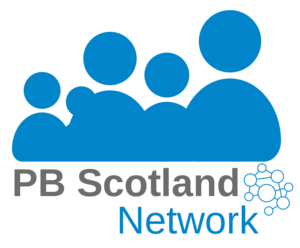 Anyone interested in PB in Scotland should have a look at this collective summary of reports from PB projects funded through the Scottish Government's Community Choices Fund in 2016/17. This toolkit is intended to support any individual or group organising a PB activity to plan how to evaluate their PB process, and to collate the evidence and information required.